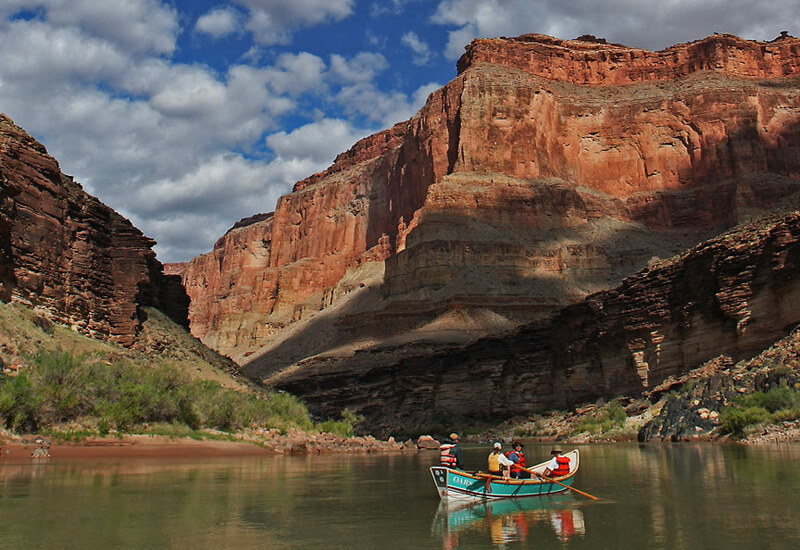 How long have you worked for Grand Canyon Dories and what drew you to the dories? I’ve worked for Grand Canyon Dories since May, 1973. I knew nothing about river running when my powder-skiing friend at Bear Valley, Curt Chang, recruited me to be a boatman for Martin Litton. 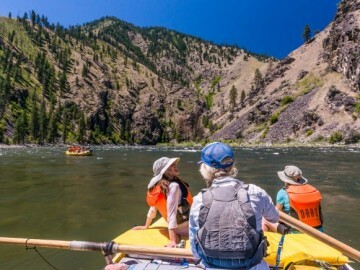 With no other plans for summer I said, “Sure, where do I sign up?” Curt was one of Martin’s first dory boatmen, so I just kinda fell into it, then fell in love with dories, the river and the Canyon. 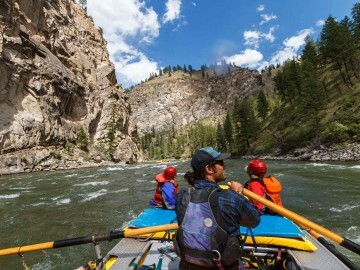 What makes being a river guide one of the best jobs in the world? It’s an amazing job because it’s so multi-faceted and personally demanding. The rewards are just as good. You’re on 24/7 for weeks at a time, with every level of relaxation or intensity. It’s not only physically challenging but often closely interpersonal, with opportunities to get to know fascinating people and their life pathways. Plus, sometimes you get to be somebody’s hero. You’re also a geologist. 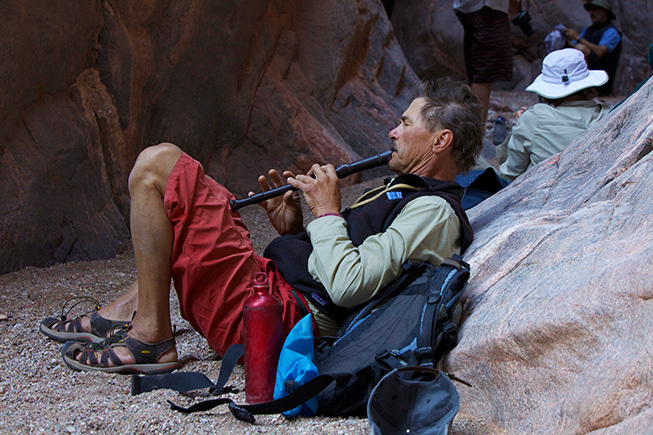 What’s a favorite tidbit you like to share with travelers in the Grand Canyon? I enjoy opening people’s minds to “deep time” as revealed in the rock layers. The Great Unconformity especially makes people feel real small, like not all that important, yet somehow enduring, which is both exhilarating and relieving. Sometimes we think to be more important than we are. What do you like to do when you’re not on the river? I like to travel and explore, sometimes far and wide, other times in the local world out my backdoor. The world is rich with fascinating stories, both human and environmental. I continue to do geologic teaching and research, communicating my discoveries to curious minds of any age. Can you give me an example of where you think you made an important difference for the travelers on one of your trips? Like a good parent or teacher, we river guides often make a difference in people’s lives and may not know it. But to grab an instance… I was a personal assistant to a guy with severely compromised vision for an 18-day dory trip. He showed us all how to live in love and grace even with a challenging personal disability. 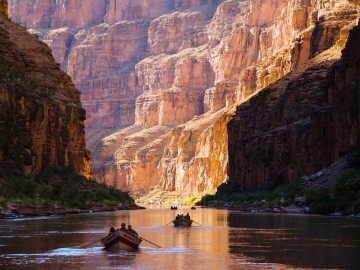 If a guest really enjoyed the Grand Canyon, what river trip would you recommend they try next and why? 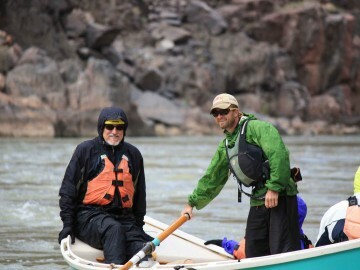 I’d recommend the Middle Fork of the Salmon or another section of the Grand Canyon on the Colorado. The big rivers of Alaska are right on par, as well. For a young guide who wants to work up to rowing dories, what’s something they should keep in mind? To a young guide, I’d say that if you want to row dories you’ve got to love the craft…and the craft is not just the boat, but the constant diligence and care to keep her whole and unharmed. These dories are truly graceful and demanding of excellence. They are a thing of restless beauty, like a young colt wheeling and snorting who feels every sinew of the currents beneath…better than a Porsche. 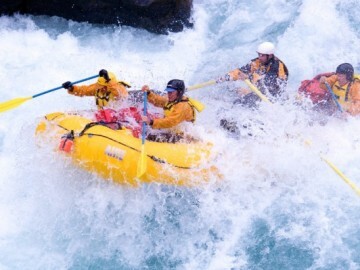 Why should people take river trips? River trips put people into the rhythm of their souls, the cadence of their life. The magic of a river is inexplicable. The river provides an allegory for your path and a salve for your wounds. It’s a healing place.